All of our programs are designed to guide you through the process of creating a life that you love. Currently we offer in-house programming for your corporate, civic, school/university group. Each unique delivery of The Coleman Method can be customized to each specific group. Get ready to change your life…. A health and fitness based behavioral change program designed to teach real, lasting, change. This program is a 6 part series live lecture series based on goal achievement with continued success. Each lecture leads the learners though the cyclical behavioral process of making change stick. Stacey and Jesse Coleman will travel to your location and customize their presentation for your specific group. This single session lecture provides the basic science of how human beings should consume food. 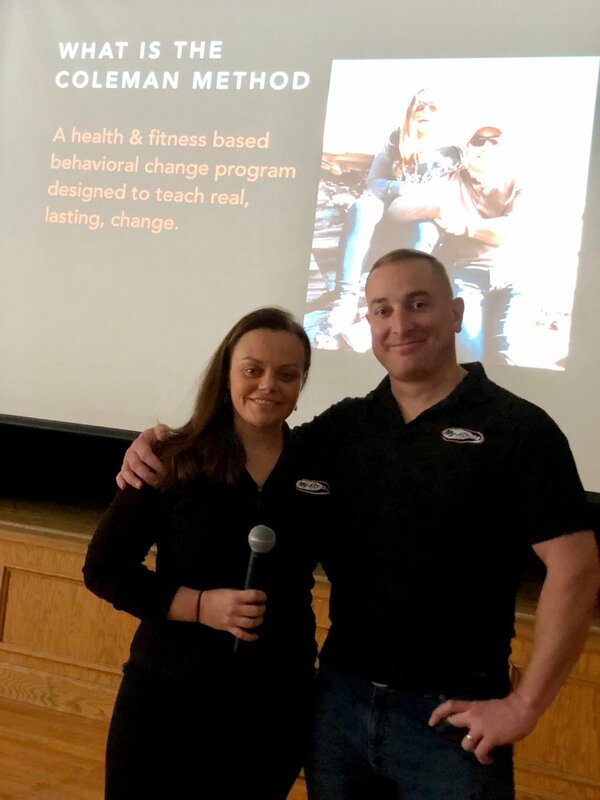 Stacey and Jesse Coleman aim to break down the complexity of nutrition into bite sized, real life application. The Coleman’s will travel to your location and customize their presentation for your specific group. Email us by clicking the Learn More button below and we can begin to create a program designed just for you. This single session course leads the learners through the truths behind exercise science. Exercise can be categorized in to four types; Steady State Cardio, Metabolic Conditioning, Strength Training, and Flexibility/Mobility. Everyone needs all 4 types of exercise on a regular basis specific to the individual’s personal starting point and goals. This 60 minute session aims to teach the basics of fitness and tips to get the most out of your workout efforts.